Many of us are guilty of saying it but to me at least, it really does feel that Christmas comes around sooner and sooner each year. Some of the particularly well-organised among you may already be putting festive plans into place but perhaps you’ve not considered a cruise to be part of them? Even if you have, it’s always good to get a little extra inspiration so with that in mind, here’s a look at some of the destinations you could be escaping the weather for this year. When it comes to leaving Blighty behind for some Christmas sun, nowhere really says ‘getting away from it all’ like the Caribbean. It’s many a cruiser’s go-to cruise escape for a reason and at Christmas its timeless allure is, well, even more alluring. 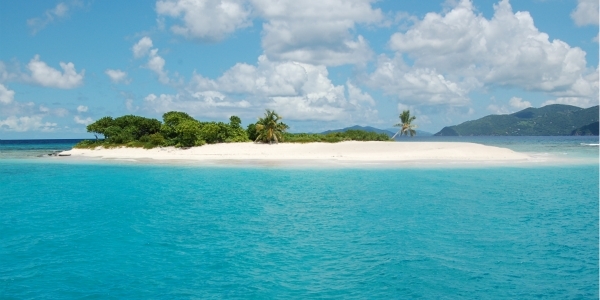 The majority of cruises in December explore the Caribbean and it’s not difficult to see why. Itineraries typically explore either the Eastern or Western Caribbean but with around 700 islands to choose from, you’ll be guaranteed your own slice of beach-bound paradise as you swap Christmas trees for palm trees and Christmas dinner for a fun-filled beach barbeque. There’s another plus in that the islands present you with some golden opportunities to bring back plenty of Christmas gifts. Duty free shopping is big business in the Caribbean, with Grand Cayman, Nassau, St Thomas, Orenjestand and Georgetown all offering plenty of opportunities to pick up some presents. Another destination which promises plenty of festive rays is the Americas, specifically Central and South America, though it’s possible to see a little of North America in the winter – specifically its sun-drenched Florida ports and the Mexican island escape of Cozumel. Those ports tend to feature on Caribbean sailings, though there are a number of December voyages which explore much further south, offering the opportunity to visit famous ports like Brazil’s iconic Rio de Janeiro, Montevideo in Uruguay and Argentina’s lively capital Buenos Aires. On a South American cruise, you’ll have every opportunity for a Christmas party with a difference, where the chance for some authentic red-hot salsa trumps Oops Upside Your Head every time. As the summer is the rainy season in many Asian cruise destinations, winter cruises in the region are popular and extending them into the New Year also gives you the chance to be a part of some pretty special celebrations in cities such as Hong Kong, Singapore and Bangkok. Indeed, Hong Kong’s Winterfest is a massive tourist draw and the world’s finest skyline lends itself perfectly to create one very special Christmas lights display throughout December. Singapore’s Orchard Road has won awards in the past for its festive light show, while an epic Christmas shop is serious business in Bangkok and the lively city is a complete natural when it comes to creating an atmosphere of festive cheer. Christmas is a time when the particularly sun-loving among us get instantly jealous of our ex-pat friends and family who’ve emigrated to Australia. Notoriously balmy during yuletide, it’s a place where many of us dream of being at Christmas. The good news is, you can – as there are a number of Australia and New Zealand cruises available during the festive period. It’s not just about Christmas dinner on Bondi Beach though. Some December itineraries in the region do in fact give you the chance to explore New Zealand’s fjordland but with this being the warmest time of the year in Australasia, don’t expect too many icy backdrops. However, for those who really do dream of a white Christmas and who think that Yuletide sun does nothing but spoil the atmosphere, help is at hand. Though Norwegian fjord itineraries are very popular during the summer months when the weather’s fine, there’s also the opportunity to explore them at their iciest in December. Christmas scenery doesn’t get more authentic than this and fjordland specialists Hurtigruten in particular offer a number of exploration sailings during December. Wherever you’d most like to escape to this Christmas, at Cruise118.com, we can take you there. We have an excellent selection of December sailings available, so when you’ve found your perfect festive escape, just call our helpful Cruise Concierge team on 0808 1234 118 to book your cruise. I am a first time cruiser and am 86 yrs old. Walk with a stick & have travelled a lot with SAGA & others. Panama Canal and the Emerites sound interesting but only for 10 days or less. Hi Gertrude, thanks a lot for your comment. Yes, those are both amazing places to cruise and if you did visit either of them, it would certainly be a first cruise to remember! Panama Canal itineraries are usually longer than 10 days but we have a selection available here: http://bit.ly/1D5QTV7. We also have a good choice of Emirates cruises under 10 days, which you can take a look at here: http://bit.ly/1I4Pg6S. Thanks again for your interest and if you do see anything you like, just give us a call on 0808 1234 118 and our Cruise Concierge team will be able to answer all your questions and help you with every stage of your booking. Happy cruising!